Based in Sunderland, we manufacture and supply Specials and Special Obtains to thousands of pharmacies across England and Wales on a next morning delivery service as standard. Our Specials offer for pharmacies since our inception, has always had a focus on providing outstanding product quality, a service second to none and price in line with the Part VIIIB Drug Tariff and NHS national averages. 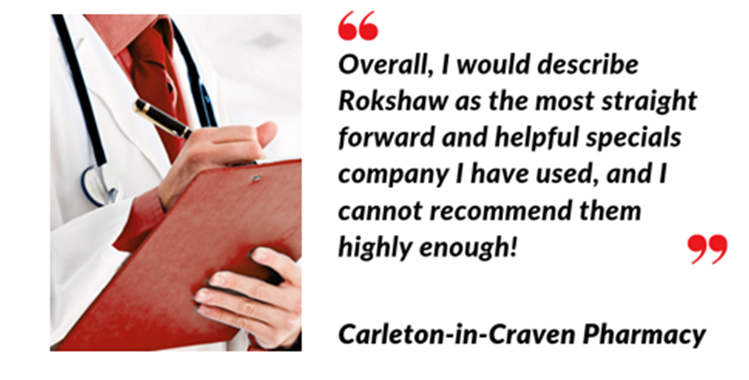 Get in touch with Rokshaw today to see what “The Future of Specials” can do for your pharmacy!